Types of Fossils Part Three – Petrification. So, welcome back to our discussion on types of fossils. This week we will be discussing petrification. Now, it’s important to remember that there are many, many, many sub-divisions of petrification (and fossilisation in general), mostly to do with the type of sediment they are buried in. There can also be more than one type of fossilisation process in a single fossil. That in mind, we will be generalising a little bit, but it all fits into two main categories – replacement and altercation. Right, so, petrification. It literally means “turned to stone.” The word comes from Latin petra “rock” + -ficare, “to make, do.” So how to turn a creature into stone? This is when the original ‘stuff’ that makes up the plant gets replaced by minerals. The one most people are familiar with is petrified wood, but almost anything can become replaced. In fact, most things that are replaced are closer to the original animal/plant than you might think. For instance, petrified wood is often full of silica, a mineral that is very abundant in trees while they are living. 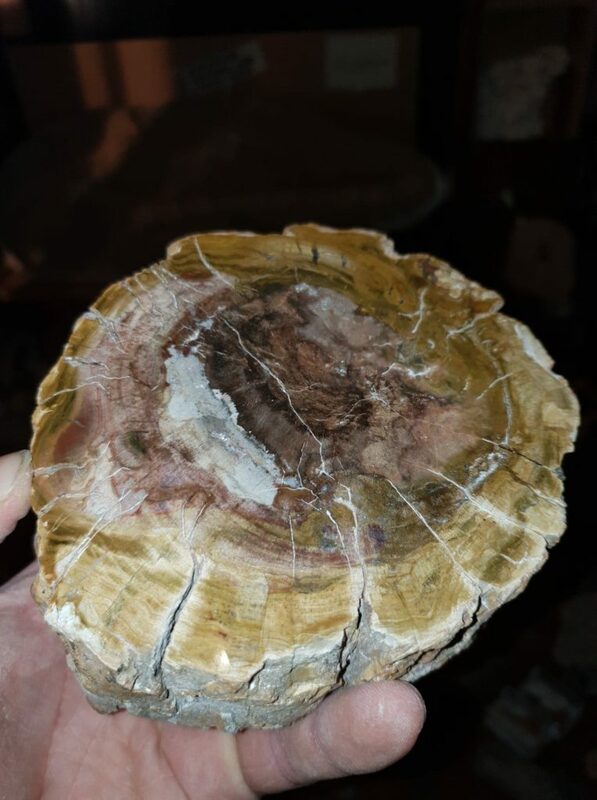 You can see some examples of replaced-petrified wood below. Here, the plant has literally been replaced, cell by cell, with minerals. Petrified wood from the USA. Notice the detail, including the tree rings. Altercation is where the organic chemicals in a plant have been reduced to a dark grey to black carbonised film of the plant which still shows its shape and external structure. Sometimes carbonised plant remains are so abundant you can see no individual plants, and we refer to such a deposit as coal. Hence the term ‘fossil fuel’. So, a chemical reaction has occurred, where the only part of the plant left is actually the carbon part of it. You can see some examples of carbonised plant fossils below. They usually occur in fine-grained sediment, where the sediments help compress them into the carbon impressions. Cycad fossils from Whitby, UK, in a carbonised state. In order to help you understand (and after the success of the filming last week! ), I have done a short video below to help you, as well as give you some examples. Enjoy!